So much legislation has been coming out of Washington these days, it's hard to keep it all straight. When the media first jumps on a story, it's often sketchy because details have yet to be worked out by the IRS, the Treasury Department, or other relevant agency. Then, as the specifics are finally defined and quietly announced to the public, the media is on to another breaking story. So it's easy to miss important legislative changes that make for boring headlines but contain crucial components of advice. By staying on top of the details, you can prove your value to clients and prospects whose heads are probably spinning from all the activity in Washington. The American Recovery and Reinvestment Act of 2009, also known as the stimulus bill, was signed by President Obama on Feb. 17, 2009. This is not to be confused with the bailout bill or the budget. Rather, its sole purpose was to stimulate the economy by getting more money into the hands of taxpayers and identifying projects for additional government spending. Now that the bill has become law, the time has passed to express opinions about whether or not it will work (although you are welcome to do so using the conversation feature below; you may also want to check out the Tax Policy Center's Tax Stimulus Report Card). More important is to know how its various provisions will affect your clients and integrate them into their financial plans as appropriate. Some of the provisions apply to 2009 only, while others include 2010. The cornerstone of the bill—and the one most hyped in the media—is the "Making Work Pay" credit, which automatically adjusts withholding formulas to give working Americans a few more dollars in their paychecks in 2009 and 2010. However, many of your clients may never see the $400 (for single taxpayers) or $800 (for married couples), because it's available only to those whose modified adjusted gross income (MAGI) is less than $95,000 or $190,000, respectively. A partial credit goes to those with incomes of between $75,000 and $95,000 (singles) and $150,000 and $190,000 (couples). The IRS says that people need not review their W-4 forms unless they have multiple jobs or are married. Because employers don't always know an employee's entire tax picture, they may assume a person is eligible for the credit when, in reality, their joint income takes them over the threshold. Talk to your clients about this and help them adjust their withholding so they are not hit by a tax surprise next year. See Publication 919 for guidance. Self-employed individuals who are eligible for the credit may reduce their estimated tax payments by the amount of the credit. It should be noted that the actual credit is 6.2% of earned income to a maximum of $400 (single) or $800 (joint) and that it is claimed on taxpayers' 2009 and 2010 tax returns, to be filed in 2010 and 2011, respectively. It is at this time that MAGI—which determines actual eligibility for the credit—is calculated. The withholding adjustments are designed to get money into the hands of Americans a little sooner—$65 per month for the typical family—so they'll spend it on little stuff and not park it in the bank, which would be non-stimulative. Social Security recipients will receive a one-time tax-free payment of $250 in 2009 only. The government will automatically send these checks sometime in 2009. Retired government workers who do not receive Social Security will receive a $250 tax credit instead, which they must claim when they file their 2009 tax return. Retirees who receive the $250 check and are also eligible for the "Making Work Pay" credit will have to reduce the $400 credit by $250 when they file their returns. Having AMT information this early in the year is a gift from Congress. Encourage your clients' CPAs to do an AMT test for 2009 when they prepare clients' 2008 taxes, so you can factor it into the financial plan for this year. On a related note, the interest on all qualified private activity bonds issued in 2009 and 2010 will be exempt from the AMT. (Interest on private activity bonds issued before 2009 will still be taxable under the AMT rules.) Private-activity bonds issued after 2003 and refunded during 2009 and 2010 will also be exempt from the AMT. The recovery act extends, expands, and improves the $7,500 credit for first-time homebuyers granted last year by the Housing Assistance Tax Act of 2008. The new credit is equal to 10% of the purchase price up to $8,000 ($4,000 for married individuals filing separate returns) if a principal residence is purchased between Jan. 1 and Nov. 30 of 2009 by a person who has not owned a home in the three years preceding the date of purchase. In the case of a married couple, both spouses must pass this test. In most cases, including new homes purchased from a home builder, the purchase date is the date when closing occurs and the title to the property transfers to the homeowner. In the case where a principal residence is constructed by the homeowner, the purchase date is the date the homeowner moves into the home. The definition of "home" includes manufactured homes, mobile homes, and houseboats, as long as they are used as a principal residence. The residence cannot be bought from a spouse, parent, grandparent, child, or certain other related parties. Once again, income limits apply. The phaseout range for single filers and married individuals filing separate returns is MAGI between $75,000 and $95,000. For joint filers it is $150,000 to $170,000. MAGI in this case is AGI plus deductions taken for foreign housing, student loan interest, IRA contributions, and higher-education costs. The tax credit may be claimed for either 2008 or 2009 using Form 5405. Eligibility is determined by MAGI for the year in which the credit is claimed. One advantage of claiming the credit for 2008 is that MAGI is already known. A person who has already filed his 2008 return (including someone who claimed the earlier $7,500 credit for a home bought in 2009) may claim the credit by filing an amended return. Someone who has not yet filed but is anticipating buying a home in 2009 can get a filing extension to Oct. 15 using Form 4868.. A person who plans to claim the credit on his 2009 tax return may reduce his withholding or estimated tax payments to accelerate receipt of the credit. Unlike the previous credit, the $8,000 credit does not have to be paid back. In fact, it is a refundable credit, meaning that if the homebuyer's tax obligation is less than the credit, the government will issue a check. However, if the home is disposed of or no longer used as a principal residence within three years of the purchase date, the credit must be paid back. But if the gain from selling the home is less than the credit, the repayment amount is limited to the gain. (For basis calculation purposes, the basis of the home is reduced by the credit amount.) If the home is transferred incident to divorce, the credit won't be recaptured, but rather the spouse who ends up owning the home takes over any repayment obligation. The credit need not be repaid if the homebuyer dies. The American Opportunity Tax Credit temporarily replaces the Hope credit in 2009 and 2010. The amount of this new education tax credit is 100% of the first $2,000, plus 25% of the next $2,000, spent each year on tuition, fees, and course materials, for a maximum credit of $2,500. It applies to all four years of college. This is in contrast to the Hope credit, which would have allowed a maximum credit of $1,800 for the first two years of college only. The new credit also raises the income limits for eligibility. It phases out for single taxpayers with MAGI of $80,000 to $90,000 (as opposed to $50,000 to $60,000 for the Hope credit), and for married couples with MAGI between $160,000 and $180,000 (vs. $100,000 to $120,000). It is not available to those with incomes over $90,000 and $180,000, respectively. As is true for the Hope credit, taxpayers cannot claim the credit for any expenses paid using funds from other tax-preferred vehicles, such as 529 plans and Coverdell Savings Accounts, nor can they use more than one of the three education benefits for the same student in a given year: the $2,500 American Opportunity Tax Credit, the $2,000 Lifetime Learning credit, or the $4,000 above-the-line deduction for tuition expenses. Note that the income phaseouts in 2009 for the Lifetime Learning credit are $50,000 to $60,000 for individuals and $100,000 to $120,000 for couples. For the tuition deduction, the income phaseouts are $65,000 to $80,000 for individuals and $130,000 to $160,000 for joint filers. Clients who previously were ineligible for any education tax benefits may now be eligible for the American Opportunity Tax Credit, which appears to be the best one anyway. However, the interplay of education tax credits is still very complex and requires expert tax help in sorting out which expenses should be paid out of scholarships, student loans, 529 withdrawals, and other sources of income, and understanding which tax credits and deductions clients may qualify for. On a related note, the definition of qualified expenses for 529 withdrawals has been expanded for 2009 and 2010 to include computers and computer technology, including Internet access. COBRA is the law that requires companies to let workers keep their employer-sponsored health insurance for 18 months after termination as long as they pay the premiums. Problem is, the insurance is unaffordable, especially if you're unemployed. With the new bill, the government will pay 65% of COBRA premiums for up to nine months for workers who have been involuntarily terminated. To qualify for premium assistance, a worker must be involuntarily terminated between Sept. 1, 2008, and Dec. 31, 2009. The subsidy would terminate upon offer of any new employer-sponsored health care coverage or Medicare eligibility. Workers who failed to initially elect COBRA because it was unaffordable are given an additional 60 days to elect COBRA and receive the subsidy. Income may not be more than $125,000 for individuals and $250,000 for families. Taxpayers are entitled to a tax credit equal to 30% of the amount spent on qualified energy efficiency improvements in 2009 and 2010 up to a maximum of $1,500 in total credit. Qualified energy efficiency improvements include insulation materials, exterior windows including skylights, exterior doors, central air conditioners, natural gas, propane or oil water heaters or furnaces, hot water boilers, electric heat pump water heaters, certain metal roofs and stoves, and advanced main air circulating fans. Clients who buy a new vehicle meeting Clean Air Act standards between February 17 and December 31 of 2009, may take an above-the-line deduction for the sales tax on their 2009 return. The deduction applies to the amount of tax attributable to a vehicle price up to $49,500, and is phased out for taxpayers with income between $125,000 and $135,000 (individuals) or $250,000 and $260,000 (couples filing jointly). Cars, SUVs, motorcycles, motor homes, and light trucks weighing less than 8,500 pounds qualify. Sales taxes paid on a lease agreement do not qualify. 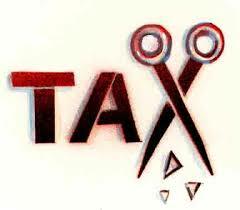 Taxpayers who deduct sales tax in lieu of state income tax may not deduct it twice. It is not clear if this will save General Motors. Individuals who purchase a qualified plug-in electric motor vehicle after 2009 may take a tax credit of up to $7,500. The credit begins to phase out after the manufacturer sells 200,000 plug-in vehicles. There are no income limits and the credit may be taken against the Alternative Minimum Tax. Employees who receive a monthly benefit for transit and parking from their employers need not report the income up to $230 per month in 2009. The amount will be indexed in 2010. The allowance may also be taken in a pretax salary-reduction arrangement as long as the employer initiates it by sponsoring a plan. The national loan limit for reverse mortgages has been increased to 150% of the Freddie Mac loan limit, or $625,000. This is up from the previous limit of $417,000. The higher limit is for the remainder of 2009 only. In order for it to be extended, it must go back to Congress for approval. Taxpayers who report income from a small business will not be charged a penalty if estimated tax payments equal at least 90% of the current or former year's tax liability (as opposed to 100% of last year's liability, or 110% if income was over $150,000). To qualify, AGI must be $500,000 or less and more than 50% of income must come from a small business (with 500 or fewer employees). Note that the tax itself is not reduced, just the amount that must be prepaid; taxpayers who come up short next year may be sorry they took advantage of this leniency. If you dared look at the full bill, this is a gigantic piece of legislation. It includes many provisions that do not apply to most clients, including several benefits for unemployed and low-income individuals as well as businesses. Make a note of the important provisions listed here and begin to incorporate them into your clients' financial plans.